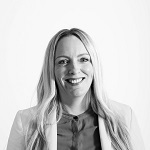 Jo has 25 years’ experience working in beauty, spa, wellness and aesthetics. As a trained Facialist, Makeup Artist and Beauty Therapist, Jo has designed treatments for leading global brands. With skincare trends coming and going at a faster pace than ever, it can be hard to keep up with The Next Big Thing. While staying ahead of the curve is paramount for today’s beauty brands to stand out in a crowded sector, it can be difficult to determine which novelties are destined to be short-lived social media hypes, and which ones are here to stay. Looking at Mintel Global New Products Database (GNPD), we highlight three skincare ingredients that we are confident will grow in popularity in 2019 and beyond. This is a plant based, natural retinol analogue… without the negative side effects of retinol! Part of the Vitamin A family, retinol is a common ingredient in anti-ageing and anti-acne products. While its benefits are praised by many, it can also irritate the skin, thin it and cause pigmentation, and normally requires a SPF to be worn. Like retinol, Bakuchiol boosts collagen and elastin production, but it’s photo-stable and more suitable for sensitive skins. Already used by some brands, we are confident that Bakuchiol will start trending this year and we will see it in more mainstream skincare launches. 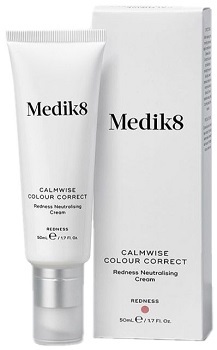 MEDIK8 CALMWISE COLOUR CORRECT REDNESS NEUTRALISING CREAM (UK): Described as a multi-action treatment for redness-prone skin, it has been formulated with mineral green pigments to instantly neutralise redness. It contains bakuchiol, to quickly interrupt the inflammatory response and to stop flushing, aloe vera, niacinamide and caffeine to help reduce the size of blood vessels. 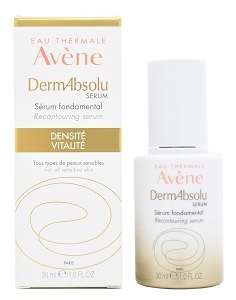 AVENE RECONTOURING SERUM (FRANCE): This highly concentrate serum-in-oil is designed to fight against visible signs of ageing, thanks to a unique association of anti-ageing actives, including bakuchiol. The non-greasy, fast absorbing formula is suited for every skin type, even the most sensitive. It claims to leave the skin toned, luminous and full of vitality. Pumpkin enzymes have been long used as a natural and safe exfoliant improving skin texture and cell turnover, but the full potential of this fruit is still untapped. Pumpkin is packed with substances that can soothe, hydrate and renew skin. Due to the continuing trend of vegan and clean beauty, we expect ‘feed your skin’ ingredients to remain a focus in 2019. Global facial skincare launches containing the ingredient ‘pumpkin’ (also known as its latin name ‘cucurbita’) increased from 20.7% in 2017 to 26.5% in 2018. Use of pumpkin will continue to grow as brands finally harness the powers of this superfood ingredient. Fun fact: pumpkin juice is an excellent de-puffing agent, and plastic surgery clinics in South Korea provide it after procedures. 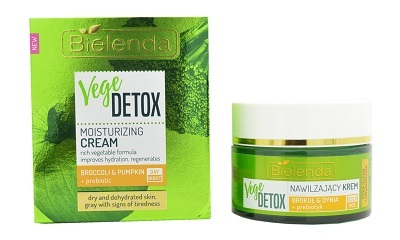 BIELENDA VEGE DETOX BROCCOLI & PUMPKIN + PREBIOTIC MOISTURISING CREAM (POLAND): This rich cream is designed for dry, dull skin with reduced elasticity and signs of ageing and is suitable for day and night use. The formula contains broccoli extract rich in vitamin C and minerals, to deliver anti-free radical and anti-ageing effects; nourishing pumpkin seed extract, to improve the appearance of the skin, regenerate and strengthen the epidermis; and prebiotics, to make skin resistant to adverse external factors and restore its proper pH. 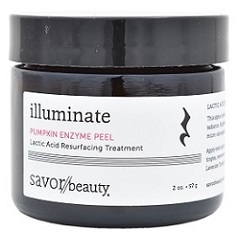 SAVOR BEAUTY PUMPKIN ENZYME PEEL (USA): A gentle alpha-hydroxy-acid powerhouse that dissolves dull skin for an instant glow, visibly improving texture and illuminating tone. The peel is infused with 5% lactic acid, pumpkin enzymes, amino acids and beta-carotene to brighten and help fade dark spots – and it smells like pumpkin spice! We saw this edible ingredient pop up on Instagram, replacing green matcha with the pastel-blue ‘Smurf latte’, and on supermarket shelves in food and drink launches. Now, it’s time for blue algae to shine in skincare too. Packed with a powerhouse of essential amino acids and minerals, blue algae have widely been neglected, but in 2018, we have seen an increase in facial skincare launches containing this wonder ingredient. It boosts skin moisture by preventing water loss, and is rich in antioxidant vitamins and minerals, which contribute to the elimination of free radicals within the skin. 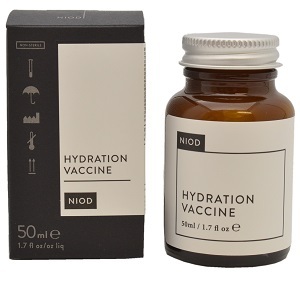 NIOD HYDRATION VACCINE (UK): This moisturising serum acts as a seal to protect the skin against water loss. The novel approach of the product claims to stand in sharp contrast to moisturisers that offer oils and lubricants as a method of hiding dehydration, instead of supporting skin’s own barrier to moisture loss. Here, a “breathable” protective film derived from an Antarctic blue algae is able to protect from physical water loss. 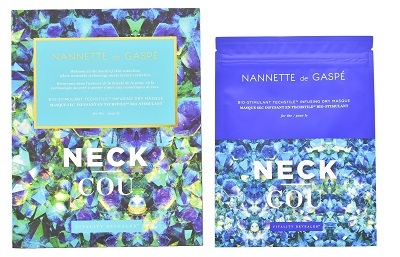 NANNETTE DE GASPE NECK BIO-STIMULANT TECHSTILE INFUSING DRY MASQUE (CANADA): This mask, enriched with blue algae, is designed for the neck. The material is activated by gentle massaging and claims to allow micro penetration of the active ingredients through the multiple layers of the epidermis. The technology also allows for humidity, temperature, pH or natural body movements to serve as trigger elements for the diffusion of actives. It infuses a cocktail of vitamins and nutrients into the skin to help reduce loose and sagging skin, restore hydration, promote a natural glow and revitalise the skin while improving overall skin texture.